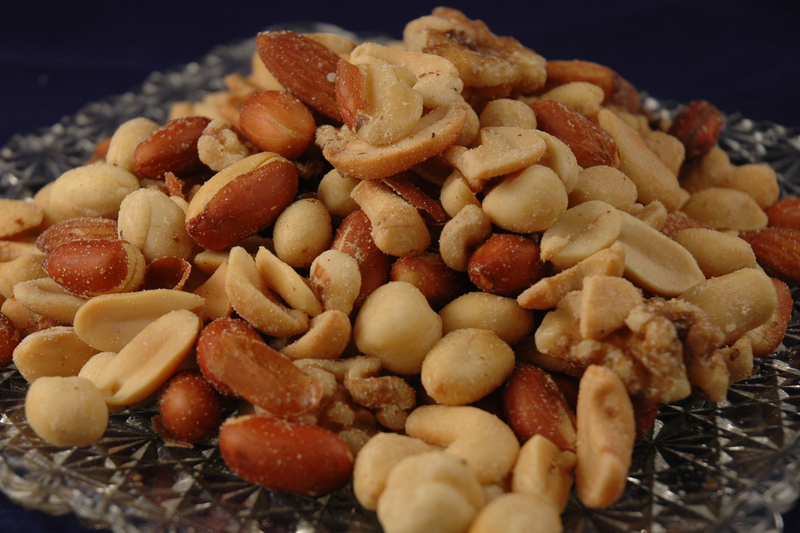 Our All Tree Mix excludes peanuts and includes Brazil Nuts, Cashews, Almonds, Filberts, and Walnuts. 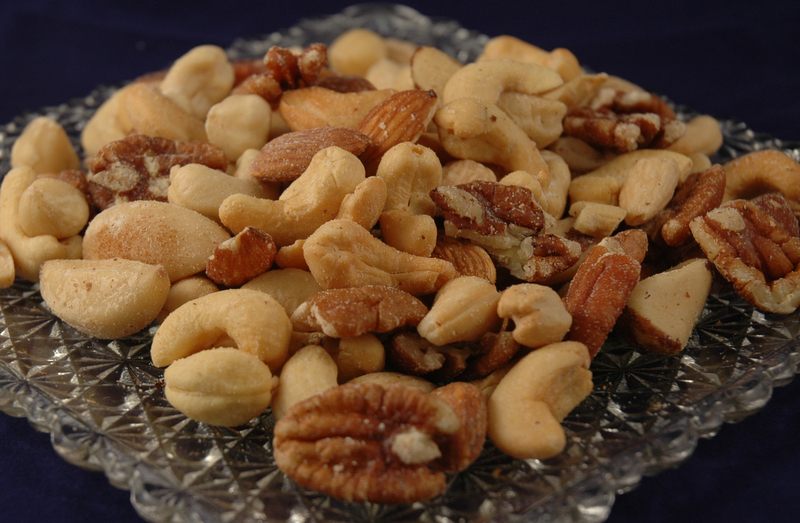 A great snack packed with all of the various nutrients that these tree nuts provide. 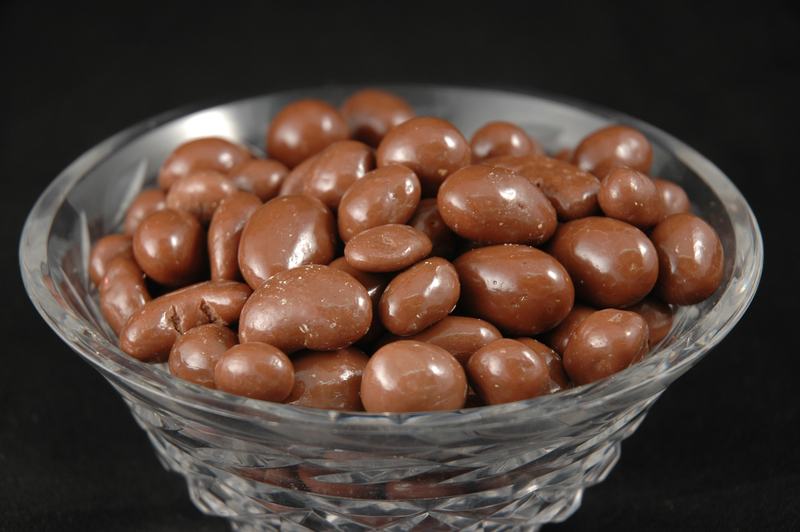 We create our own Bridge Mix combining milk chocolate covered raisins, pecans, almonds, cashews, and our double dipped malted milk balls. A mix of peanuts, chili bits, cajun sesame seed sticks and special spices for a snack with a bit of pop and zing. 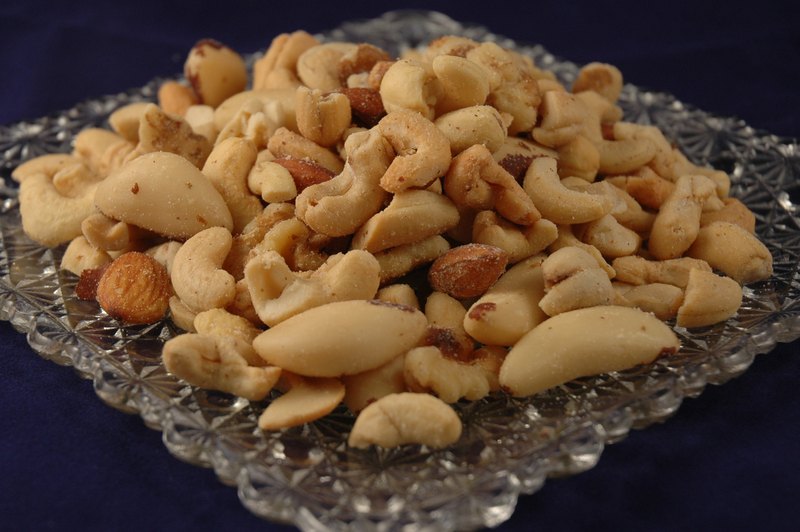 Redskin Peanuts, Blanched Peanuts, Almonds, Split Cashews, Walnuts, and Filberts all conspire to make a delicious snack that goes quite well with your favorite beverage. 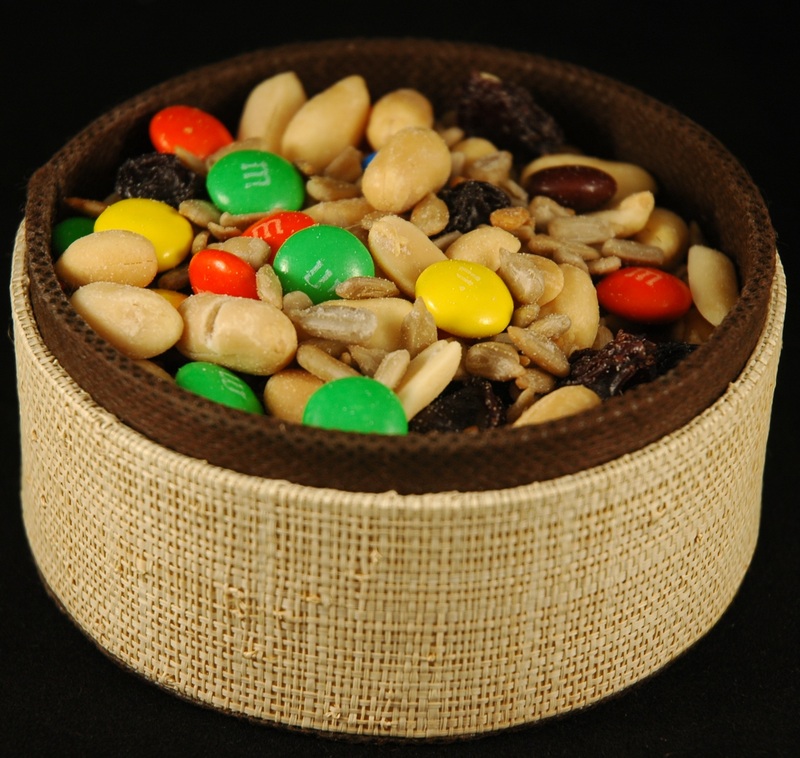 This large tin is decorated with a cheerful birthday design and contains four of our most popular items: our Best Mix, Large Whole Cashews, Large Blanched Peanuts, and Pecan Halves. All have been roasted to perfection and seasoned with just the right amount of salt. This birthday gift will be sure to please any nut lover. 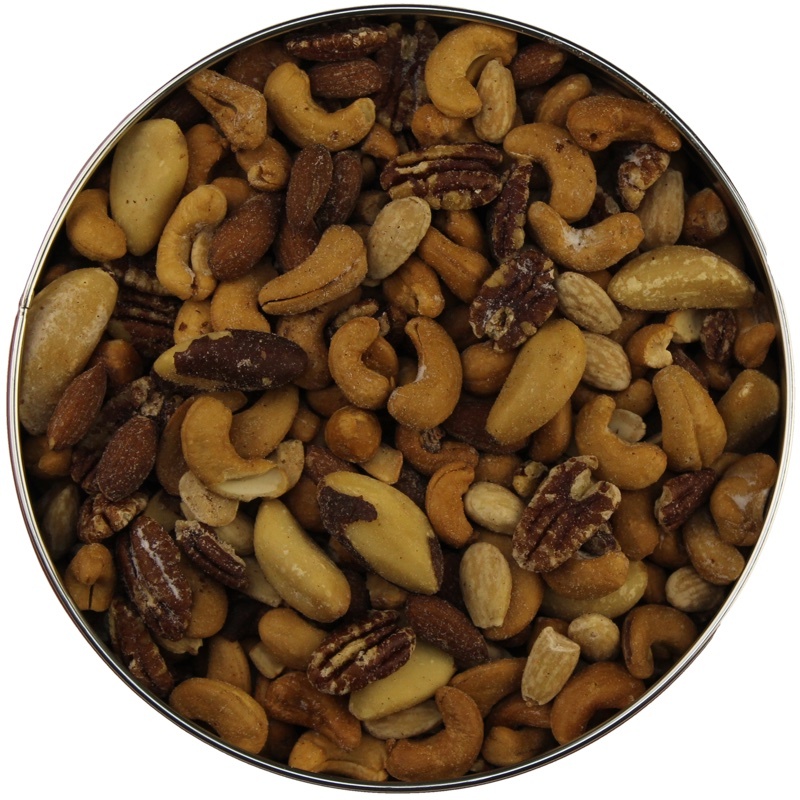 This large tin contains four of our most popular items: Best Mix, Large Whole Cashews, Large Blanched Peanuts, and Pecan Halves. All have been roasted to perfection and seasoned with just the right amount of salt. 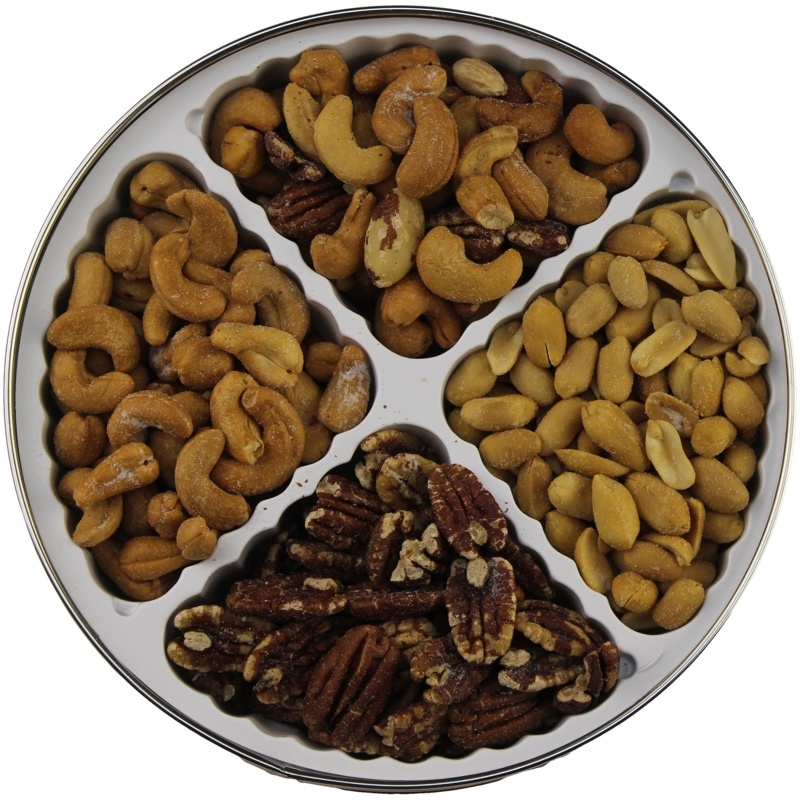 A large gold colored tin holds these delicious nuts.